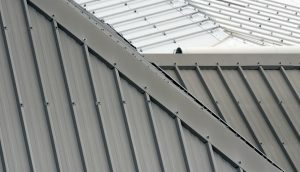 Roofing materials are essential to modern structures, buildings, and homes. Not only do they keep harsh sunlight and inclement weather out, protecting the people and property within, they also keep out animals and extreme temperatures. Air conditioning and heat simply wouldn’t work without secure roofs on top. There’s an entire industry centered around installing, maintaining, and repairing roofs, and you might have worked in that sector for a while. However, the point might have come where you got tired of being on those rooftops all the time and decided instead to start up a company providing the necessary materials. If you run such an outfit now, then you have to make sure that everything is done right to keep your employees safe. Keep reading to learn 6 fundamentals of ensuring health and safety in manufacturers of roof panels businesses. 1) Use reputable providers for your source materials: The whole point of your roofing manufacturing is turning raw products into usable goods that contractors can use to install or fix roofs on homes and buildings. That can mean using substances that are either dangerous in their raw form or just hazardous to handle at various points in your manufacturing process. While you can’t possibly avoid every danger or risk, you can certainly manage them. Further minimize them by only getting your raw product from reputable suppliers you can trust. 2) Train everyone you hire: Figure out everything a new employee needs to know, and then list what they should know on top of that. Go a step further and identify safety matters they might not ever need but could help out others with. Train them thoroughly when you hire them in all these things. 3) Make regular testing mandatory: If you’re lucky, you’ll find great employees who are great at their jobs and stay a long time working for you. Even if they get better at manufacturing roofing supplies over time, make sure their safety training doesn’t fade. 4) Hire outside experts: Even if you have someone designated within your business as the point person for safety, he or she might need objective input and analysis from time to time. Get outside consultants to come in and make sure your health and safety protocols and procedures are at their best. 5) Keep the area clean: Your work area should always be clean. Even when work gets messy, people should be cleaning as they go. Messes allowed to stay can start deteriorating the work environment, hurting people’s health, and lowering the expectations and standards of what’s acceptable in your manufacturing. 6) Maintain all your equipment: Keeping your hardware and equipment up to spec not only keeps everyone safer, it saves you money over time. Ensuring the health and safety of everyone in a roofing manufacturer’s business is something that has to be everyone’s priority every working hour of every shift. By following the 6 fundamentals listed here, you can make sure that everyone knows their roles and responsibilities.